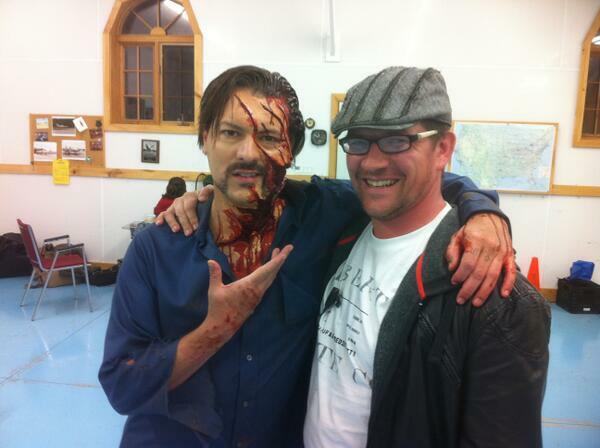 Nerd Reactor had the chance to chat with actor/writer/director David Hayter recently about his upcoming projects. He talks about his starring role in Devil’s Mile (comes out this month), his directorial debut with Wolves (comes out in November), whether he’s actually going to be in Metal Gear Solid V: The Phantom Pain, Black Widow, going to conventions and more. John “Spartan” Nguyen (Nerd Reactor): So there are many things you’re working on right now at the moment. I believe currently you’re promoting Devil’s Mile? Nerd Reactor: And for those who don’t know, give us the run down and how you got into the project. David Hayter: I was called by the writer/director Joseph O’Brien, and he asked me if I wanted to play a violent mafia psychopath, and how could I refuse? I’ve been friends with Joe for a few years, and I have known the producer of the film, Mark Opausky, since we were in high school, in Toronto. So it was sort of a meeting of old friends. Nerd Reactor: I’ve seen the trailer, it’s pretty much like three desperate criminals and they kidnap two teenagers, and the supernatural just comes out and pretty much does a number on all of them. David Hayter: Yeah, pretty much. Yeah, it’s three people who are not great people and who get punished for their sins, essentially. Nerd Reactor: For this character, is it a different role than you’re used to? 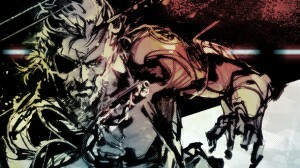 David Hayter: Yeah, I have always played heroes, and I’ve saved the world more times than I can remember, but this was the first time that I ever played a bad guy, although technically Toby is not a villain in the piece. He’s technically one of the heroes, but he’s a really bad dude, and I’ve never played anything like that before. It was really, really fun to be able to just let loose in that arena. Nerd Reactor: So would you consider the character an anti-hero? David Hayter: Oh, very much so. He’s not really a hero, but he is hopefully somebody that the audience is rooting for despite his murderous nature. Nerd Reactor: Previously, you’ve played characters like Guyver and Solid Snake, so if you had to choose between playing the hero and playing the villain for your next project, what would it be? David Hayter: I’d probably play– I think a villain is a lot more fun to play, and has a lot fewer constraints morally, but the hero gets more lines, usually. So it’s a kind of balancing act. 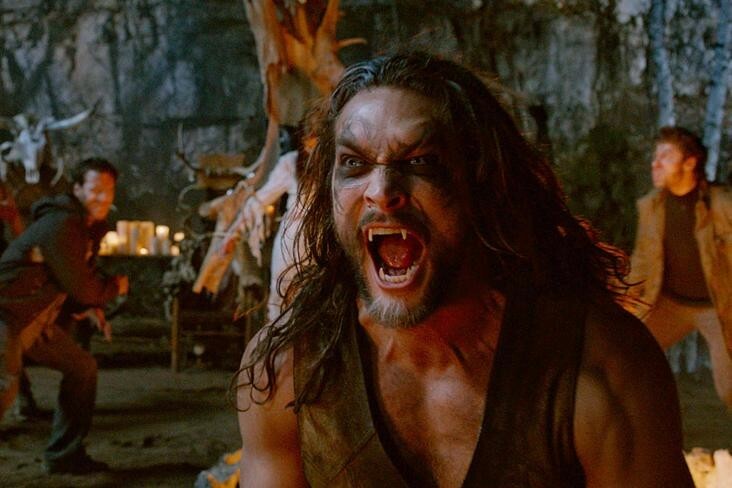 Nerd Reactor: You’re working as a writer and director for Wolves with Jason Momoa, and it’s been a long time that you’ve been working on it, right? David Hayter: Yeah, I got to spend about six years, so far but you know, that’s about average for a feature film. Nearly everything I’ve worked on takes between five and ten years to get going unless it’s something like X-Men 2 which everybody knows it’s gonna be a hit, so they just jump right into production. But apart from that, a lot of movies, particularly independent movies take a while. So it’s not been that long in the scheme of things. Nerd Reactor: And for this, is the movie coming out this year? David Hayter: Yeah, it comes out November 14th. Nerd Reactor: So it’s werewolves – are you afraid pretty much of having people compare it to other werewolf-type movies that just came out recently, or TV shows? David Hayter: I fear nothing. No, I mean tried to infuse this with my own voice, and my own take on the genre. From that perspective I think it’ll be fairly unique. So no, I’m just glad that the werewolf concept is clearly resonating in today’s generation, and hopefully this will continue that trend. Or finally put an end to it. 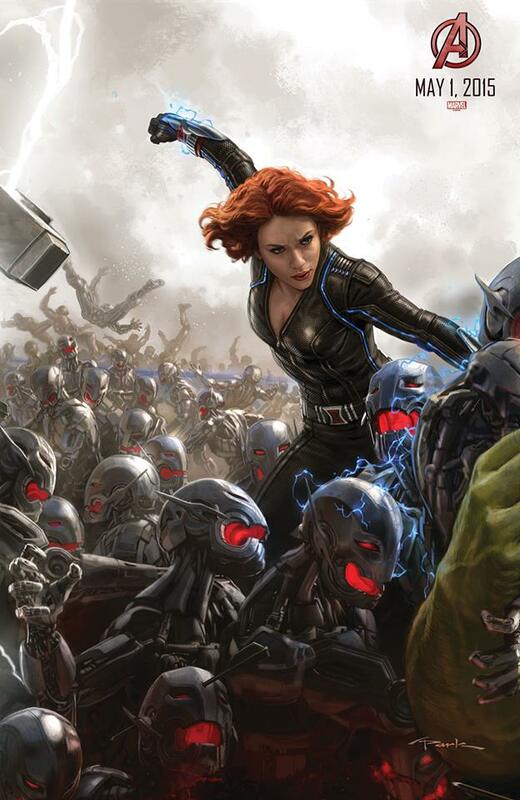 Nerd Reactor: You mentioned that your Black Widow script is already done for Marvel Studios. Can you give us a little taste of what the script’s about? David Hayter: Well, not really. No, I can’t really talk about a Marvel project before it gets going. I’m sorry about that. Nerd Reactor: Marvel, they’re really top secret about their stuff. David Hayter: They are. They are indeed. Suffice to say, it comes from my love of the character, and I hope it shows us a side of Natasha Romanoff that we’ve never seen before. It gives us a better understanding of who she is, why she is what she is. Nerd Reactor: We know Marvel has some sort of plan for a solo Marvel heroine movie. Do you have any idea what it could be? David Hayter: I have no idea. I have no idea; I know Marvel for the past decade or so has been focused on launching the big movies. Iron Man and then leading to The Avengers and all of that, and they’ve obviously been enormously successful there. So I don’t know what their strategy is going forward, whether they’re going to start making smaller movies, or even if something like Black Widow would be a smaller movie with Scarlett Johansson if she were to do it, it would certainly be a big event. I couldn’t possibly contemplate what their internal talks are like. Nerd Reactor: You’ve recently tweeted about Metal Gear – your involvement or non-involvement, and there are fans that still believe that you’re in it, because they think Hideo Kojima is trolling them. Or maybe you signed an NDA? David Hayter: No, no. I never signed any NDA. When you’re not in a game, it’s very difficult for them to get you to sign anything pertaining to it. It’s disappointing that fans still believe I’m gonna be in it, because I think that reduces the pressure that should be put on Konami and Kojima to bring me back. So I’ll say it again, I’m not in the game. In any way. Nerd Reactor: There’s a petition out where fans want you back in the game. Nerd Reactor: What do you think about Kiefer Sutherland’s performance? David Hayter: I saw the promos, and I saw Kiefer in there. Otherwise I think he’s a great actor, and I’ve met him, and spent a little time with him. He’s a super nice guy and I respect him immensely. It just feels different from what we were doing before. But I’ve got nothing bad to say about the man. He’s a stellar Canadian. I respect him immensely. Nerd Reactor: Were you able to visit San Diego Comic-Con this past weekend? David Hayter: No. I was lucky enough to avoid it. This weekend I relaxed here. I did a Wolves panel, and it’s fun, but being in a room with 300,000 people is a little overwhelming. So I try to avoid it if I can. Nerd Reactor: Is it just the nature of it, where you think you’ll ever get used to that? David Hayter: Well, it’s just hairy, you know? There’s so many people, and I greatly love to just go and look at the comic books. But I already had a chance to do that. But I get a lot of people coming up to me and they want to take pictures and stuff, which is great. But frankly, I’d rather stay home by my pool and have a quiet weekend, than do all that craziness. I realize it’s a necessary piece of business I have to do. Nerd Reactor: There is a way for you to browse or venture into the halls without people noticing you. I think different actors or directors have been dressing up or cosplaying as different characters just so they can blend in with the crowd. Maybe you could do something like that. David Hayter: Yeah. That’s true, that’s true. You know it’s funny because I don’t feel like I’m famous enough to have to do that, but at the same time, it does get a little crazy from time to time. I don’t know. I’m just complaining for no reason. Comic-Con is really a great thing, and I’m glad it exists. Nerd Reactor: What’s the status on the Dragonriders of Pern script you’re working on? David Hayter: Yeah, well, you know, it looks like that might not be happening. I just found out last night that Warner Bros. may be buying that out from under us. So I don’t know if our version is gonna go forward or not. So I mean, I’m literally exchanging emails on that right now. So it might be up in the air? Nerd Reactor: Any other upcoming projects you can talk about? David Hayter: Well, right now, I’m developing a miniseries at Fox called World War III, which is pretty self-explanatory and it’s a very, very cool project. I’m attached to direct another film at the end of the year, which I don’t want to talk about just yet. So it’s nice to be working.